You bought a house or apartment that you need to renovate? the old ceilings are often very high and perhaps even damaged. 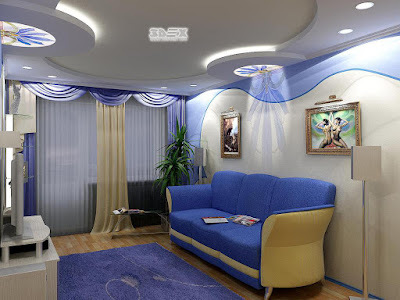 It is thus necessary to plan to remake the ceiling and this step often passes by the creation of a false ceiling design for living room, bedroom kid's room or entrance. Suspended, fixed or stretched, it allows to lower the ceiling height, to better isolate and even to pass the electricity, it is the shock asset to renovate a house or an apartment. Prices, different types, coating, you'll know everything about it! 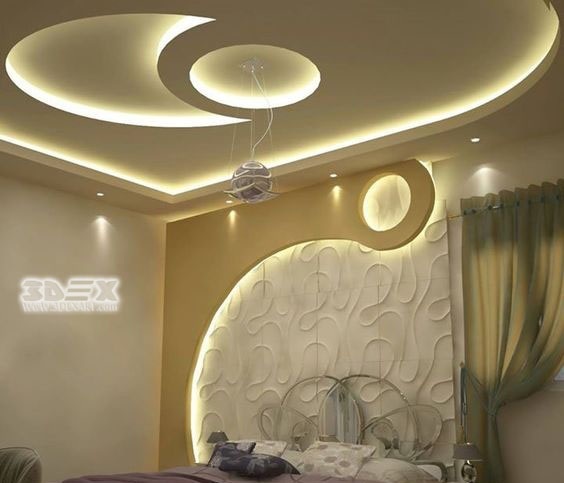 gypsum board is practical, affordable and aesthetically pleasing material. Therefore, gypsum board ceiling designs with a lining of this material are found almost in every modern interior. A variety of options for this kind of decoration allows you to decorate the room in any style. 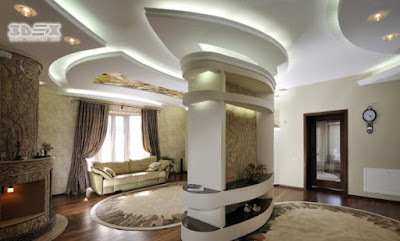 In particular, there are numerous types of plaster false ceilings, which we will consider in detail in this material. 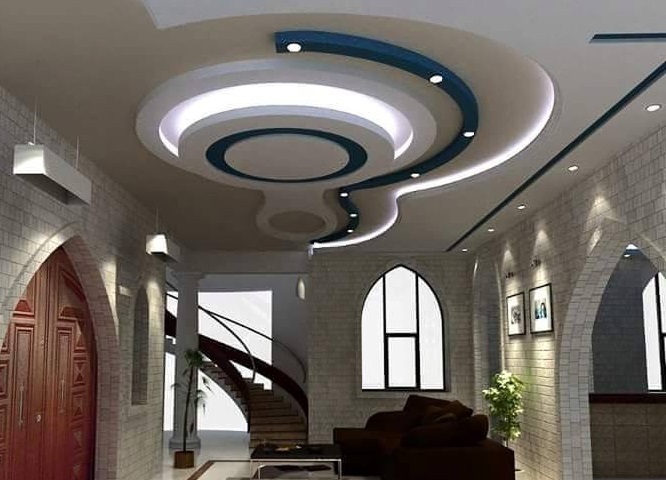 how to install a plasterboard ceiling and how much is the gypsum false ceiling price? It is damaged, dirty, or completely to reinstall your ceiling? 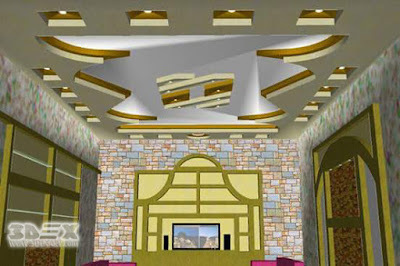 To refurbish it, one solution: the gypsum board false ceiling designs. 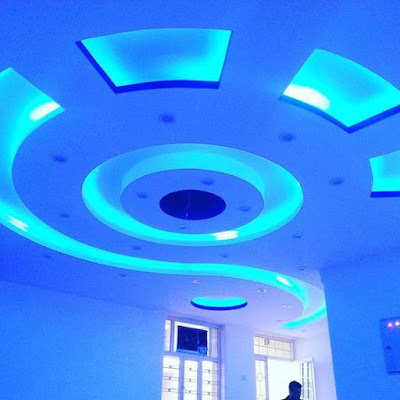 Often used to hide a ceiling in poor condition, electrical wiring or pipes, or to reduce the ceiling height of a room , it will allow you, if the lighting of your room no longer suits you, to change the atmosphere of a place by integrating into the gypsum board designs new sources of direct light (recessed spots TBT, very low voltage for example) or LED indirect ceiling lighting for the unclosed suspended parts. You can renovate a ceiling that threatens to collapse, take the opportunity to redo the insulation, thermal or acoustic and create a new decor! Indeed, it is sometimes the last element that we think when we remake a room is to has a clean ceiling, with the stamp, even decorations in adequacy with the style of the room is a guarantee of success on the whole room. The gypsum board comes from a stone called gypsum which is broken into a thousand particles to obtain a fine powder. This powder can be mixed with water and other adjustments such as starch. The resulting mixture is poured between two sheets of recycled cardboard to give a gypsum board design without any glue to hold them. 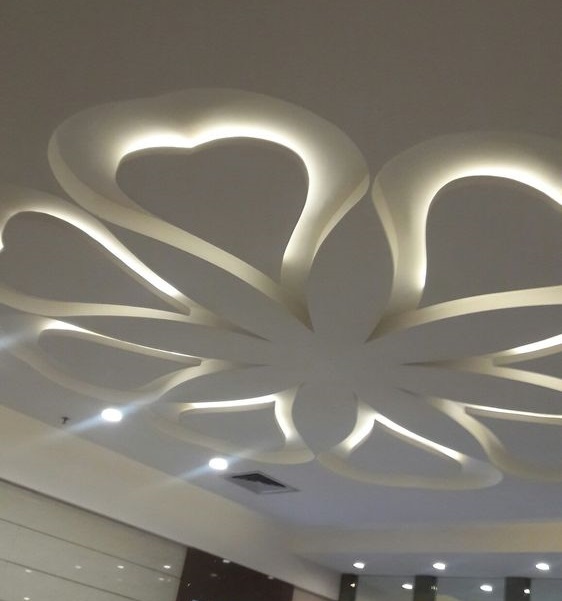 Using gypsum board ceiling designs in its habitat can bring a healthier air quality: indeed, its mineral nature avoids any development of micro-organisms and this, therefore, limits the possible respiratory diseases. The air is thus healthier, without any pollutant or allergen, offering incomparable hygrometric comfort but also a visual and phonic comfort. Other assets are to its credit as the fact that gypsum is airtight, it absorbs moisture in the air when it is hot and restores it when it is cold. Plasterboard also provides good fire protection because, under the action of a strong heat, it releases only water vapor and therefore no toxic gas or vapor. The environmental impact is, for its part, almost zero and it is a recyclable product as many times as you want, gypsum board designs for ceiling suffices for it to re-hydrate, its chemical composition remains unchanged. Therefore, this makes it an ecological product perfect for a man and the environment. Thanks to natural qualities, plasterboard has its place in the HQE approach which is more and more recommended in new constructions. In addition, energy wastage is limited, providing a comfortable indoor climate. 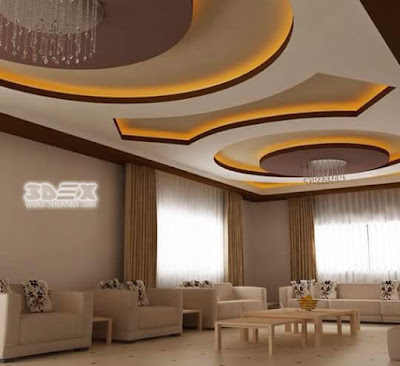 gypsum board is a material that presents unlimited options to create a reliable and beautiful false ceiling design in the house, so the gypsum board false ceiling designs for living rooms can be applied with many options. gypsum board ceiling designs have a smooth, flawless surface, and also fit into any room interior design. 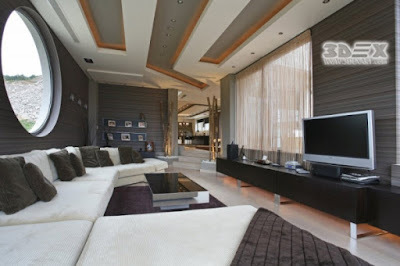 Behind them, you can hide not only the defects of the base ceiling but also electrical wiring and other communications. gypsum board is environmentally friendly material, has great advantages in operation: moisture resistance, good sound insulation, fireproof qualities. 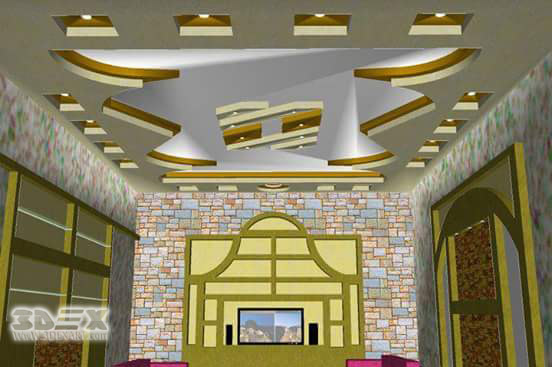 Installation of plaster false ceiling construction for the hall is easy to carry out with your own hands, without the help of the services of construction workers. The costs will be caused only by the purchase of materials and tools missing in your toolkit. 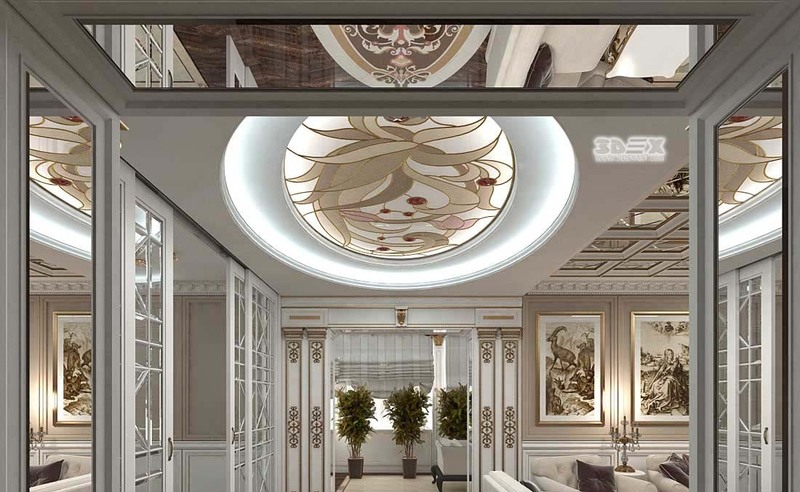 It is important that you clearly imagine what the final result will be and how the new elements of the ceiling are consistent with the interior of the hall. Therefore, it is recommended to start work with a design project on hand. Regardless of whether it is self-prepared, or performed by specialists. When designing a gypsum board design for false ceilings in a low room with a small area, adhere to such design solutions that will help to smooth out these shortcomings. First of all, multi-level suspended ceilings should be avoided. The heap of heterogeneous elements will create the impression of tightness, it will be enough one level. A large and bulky chandelier, which, according to a long tradition, it is customary to decorate the hall, visually occupy the space. 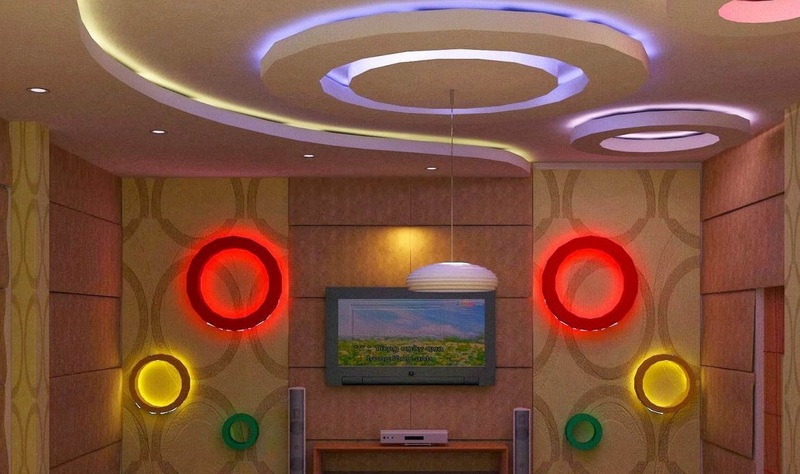 Therefore, it is better to prefer the built-in and linear lamps, or LED ceiling lighting strips. 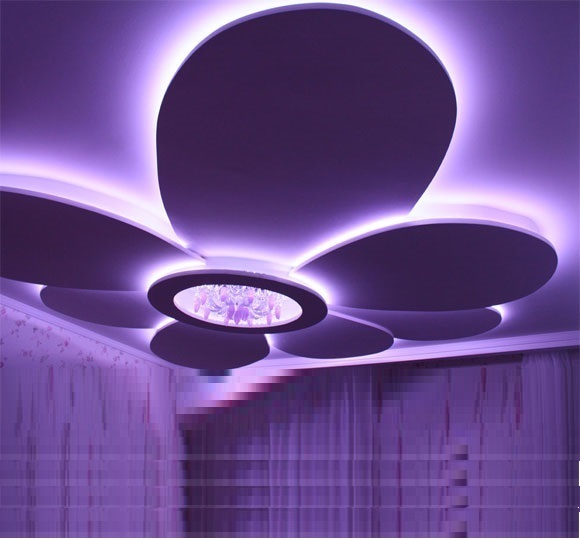 LED strips are ideal for a low ceiling room: thanks to a soft and uniform glow, they can create the effect of a "floating" ceiling. It is reached at the expense of the second level, mounted in the center. Inside the construction, the LEDs are positioned so that the light source remains invisible. Thus, the depth of the ceiling is visually created, approximately. 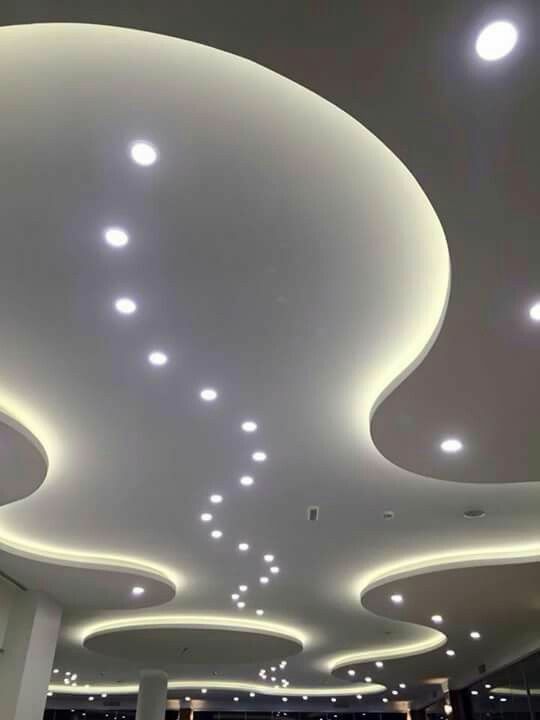 The false ceiling lighting design helps very much: sometimes it is enough to mount one level with spotlighting so that the scale of the hall changes for the better: scattered light will expand the space. 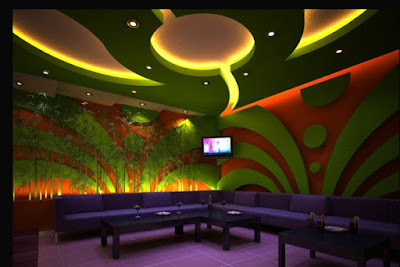 And at the same time, it will help create a pleasant, comfortable atmosphere. Bright light, the saturation of space with light will also serve the purpose of the visual increase in the volume of the room. High ceilings in old buildings have a big drawback: the room is often uncomfortable and requires large amounts of heating energy to bring it to a comfortable temperature. 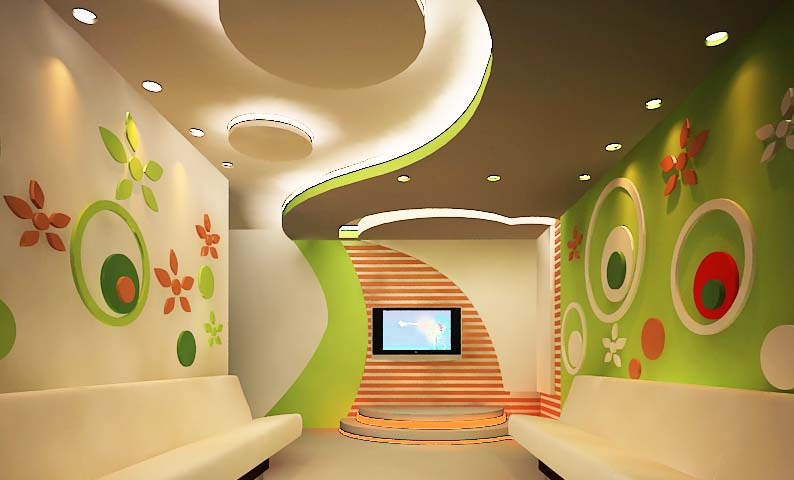 The so-called gypsum board false ceilings ensures an optimal room height and creates space for laying cables invisibly. The costs and the workload are manageable. Special girders can also be used to bridge large distances. As a material for a new ceiling, plasterboard can be hidden either by wallpaper, paint or real wood. The cost refers to a square meter of false ceiling made of gypsum board designs at a distance of 50 centimeters. In the classical method, the drywall builder dangles horizontal boards of wood at a distance of 30 centimeters below the ceiling. This is achieved by placing vertical battens at a distance of 50 centimeters, which hang into the room at the desired height. Again horizontal strips are attached to these. They serve as supports for the planking of tongue and groove boards or gypsum boards. Thus, ten meters of slats are required to lower a square meter of the ceiling by this method 50 centimeters. The required timbers cost about five euros. Screws and dowels are required for about five euros. Today, direct hangers are used, which make the lathing on the ceiling and the vertical slats superfluous. Each square meter usually requires six hangers and three meters of slats or U-profiles. The hangers cost about 3.50 Euros with dowels and screws. For the laths is to be expected at 1.50 euros. Who takes instead profile, must spend about 3.50 euros. gypsum board for false ceiling designs costs between 1.50 and 2.50 euros. 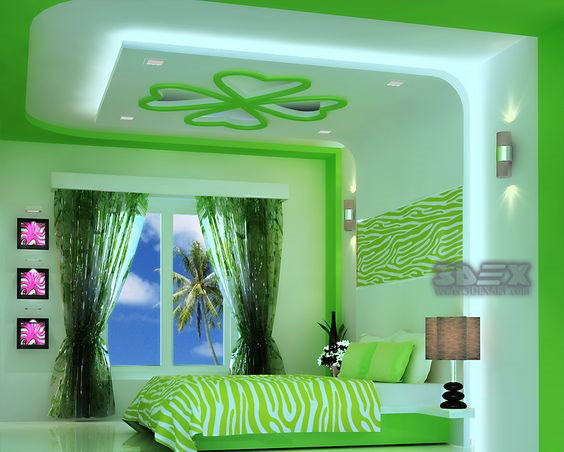 In addition, filler, joint tape, and color or wallpaper are required. The total cost of this type of fairing is three to five euros. Dressing with wood costs between 7 and 18 euros, depending on the type of material chosen. Dry builders generally charge 25 to 50 euros per square meter of gypsum board ceiling designs for assembly. The exact height varies from region to region and depends on how angled the false ceiling design is. In addition, the costs depend on the type of installation and the desired skins. For a substructure consisting of suspensions and U-profiles in conjunction with a wooden panel, the assembly costs are the lowest. A substructure made of wood is expensive to assemble and makes the work more expensive. There is little difference in whether U-profiles or wooden boards are attached to the hangers. The pure assembly of gypsum board designs is fast. The filling can be done by an expert. The final embellishment with paint or wallpapering entails higher costs. For this work, a different company is often responsible, since many drywallers do not perform painting or wallpapering. 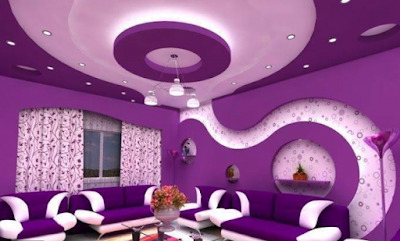 Painters charge about seven to nine euros per square meter of gypsum board ceiling. For the wallpapering is to be expected with similar prices.